“The Lion King,” one of most beloved Disney animations of all time, is also one of the most successful and well-made musicals of all time. 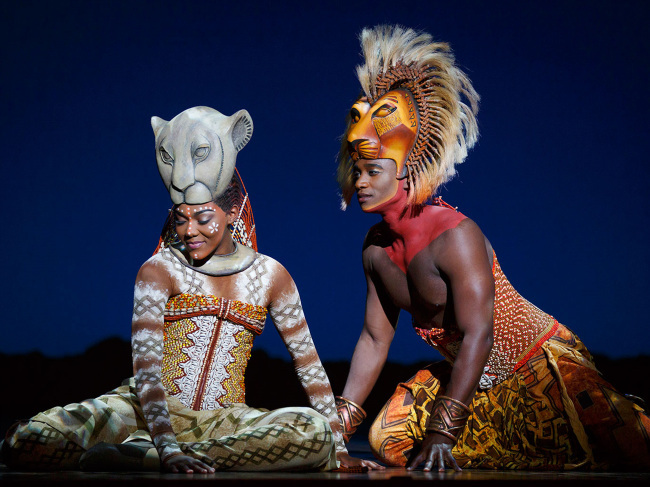 However, the reason the show has been enjoyed by over 95 million theatergoers across 25 productions across the past two decades extends beyond its brilliant music, clever use of props, masks and the energy that bursts from the onstage re-enactment of an African savanna. Lawrence met with reporters for a group interview before the Korean leg of the international tour of “The Lion King” commences next week. 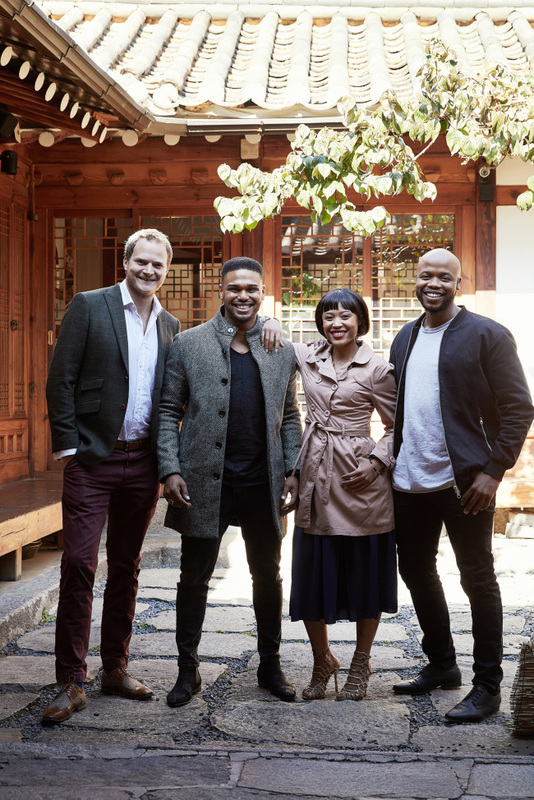 He was also joined by: Calvyn Grandling, playing the role of protagonist Simba; Josslynn Hlenti, portraying warrior princess Nala; and Mthokozisi Emkay Khanyile playing Simba’s charismatic father Mufasa. While the “Hamlet”-inspired story is human, the action onstage very much resembles that of animals. Playing a major part are the props and masks, which the creators say double the depth, between actor and puppet. Khanyile explained that the show allows the audience to see emotions through not only the masks, but also the human faces revealed as well. The masks play an important role in conveying to the viewers the characteristics of each figure. “With the Mufasa mask, it is very big and dominating. There is a scene in the show where he has to take off the mask to communicate something very powerful: that he is not always the king but is always a father to Simba. ... It carries a lot of meaning even when you don’t wear it,” he said. Playing the role of courageous but still-growing young lion Simba, Grandling said his character’s immaturity is reflected in the mask. “Unlike Mufasa’s mask, which resembles the circle of life, (Simba’s mask) is half the mask, half the circle of life. I still have a journey to go before I become king,” he said. Hlenti’s Nala mask is among the smallest ones for the main characters, which the actress said allows her to portray the emotions more with physicality, with quick movements. On the contrary, Lawrence’s Scar mask -- which he called the “coolest one” -- has many mechanisms that allow for the depiction of the character’s conniving and manipulative nature. This ever-changing side of Scar is what the actor focused on in order to intriguingly depict the well-known character. The cast said they each drew from their own personal experiences in bringing to life the characteristics. Grandling, for example, drew from his experience of having to leave home to provide for his family much like Simba going on the journey that helps him mature. Nala’s perils and leaving home are in parallel with Hlenti herself. This is why her song “Shadowland” speaks so strongly to her. “It speaks about something that was beautiful, but I must leave behind. ... This is true of so many African lives, that we have to leave home,” she said. But the part where Nala vows her return is the most powerful part for her, she said. 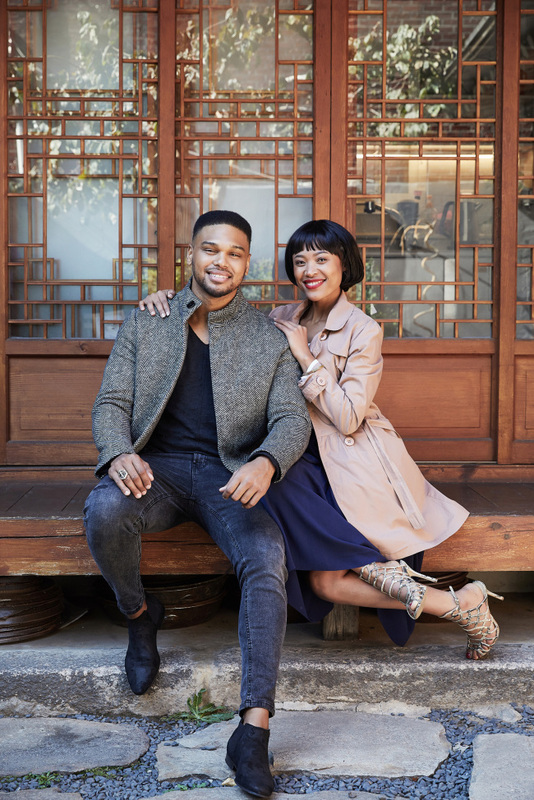 Hlenti, Grandling and Khanyile, having all come from South Africa, said their personal ties with the culture and tradition of the continent helped them connect better with the theme. This is why “Circle of Life” is the favorite track for Khanyile. “There is so much subtext that goes in,” he said. The Korean tour of “The Lion King” officially kicks off at Keimyung Arts Center in Daegu on Nov. 8, where it will play until Dec. 25 before moving to the Seoul Art Center for performances from Jan. 10 to March 28 next year. The show will continue in Busan at Dream Theater in the following month. The musical is 150 minutes long and is available to those 8 years of age or older. Tickets range from 60,000 won ($53) to 170,000 won. Daegu performances are at 7:30 on weekdays and 2 p.m. and 7 p.m. on weekends and holidays. Seoul shows start at 8 p.m. on weekdays and at 2 p.m. and 7 p.m. on weekends and holidays. There are no shows on Mondays. 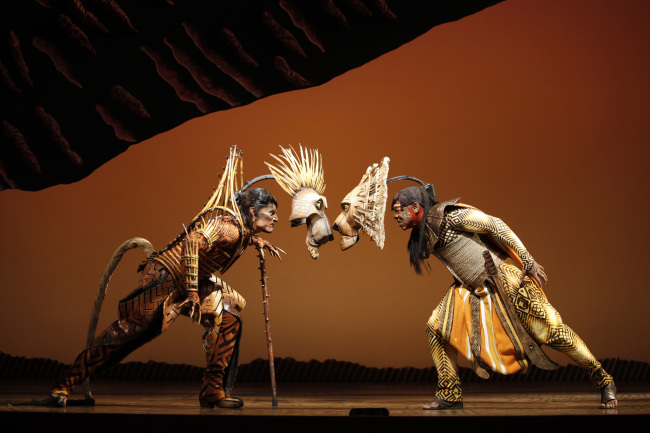 For more information about the show, visit www.thelionking.co.kr.